Our next leading Lady Leo is one of the Motown pioneers. As the eldest member of The Marvelettes when they arrived at Motown in 1961, Wanda Young stood alongside Gladys Horton as the other lead singer in The Marvelettes. Over the course of the decade she began to develop her vocal craft, becoming less reliant on her falsetto and more well versed in using her sultry, bewitching alto. More confident in her vocal abilities, her voice would become the one that would grace all but one Marvelettes A-side Lead Vocals from 1965 onwards. She’s one of Motown’s tragedies as well, as her increased drug usage lead to plenty of strife between The Marvelettes, especially as the group shrunk from 5 to 4 to 3 members over the course of the Mid-60s. Her erratic behavior was one of the contributing factors of other original lead singer Gladys Horton leaving the group in 1967. That erratic behavior also limited promotional opportunities and gigs for the group as they released 3 magnificent LPs during the later half of the 60’s. It’s a little bittersweet that I chose this song, as recorded in August of 1967, it’s one of the last songs that does feature Gladys Horton on background duties. Given that it didn’t see release until nearly 2 years later highlights how much strife was associated with recording material with Young at the forefront of the group during the last 4 years they were “officially” a group. 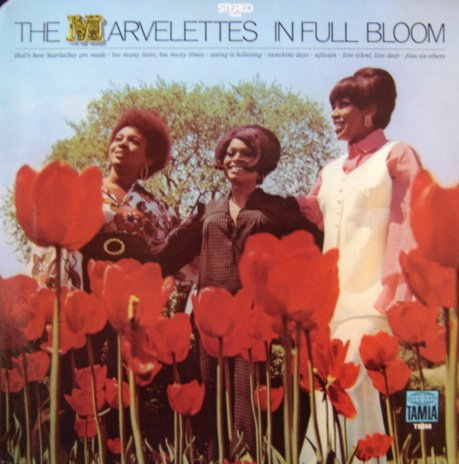 Nonetheless it’s one of many beautiful poems to turn over one’s heart to the infinite possibilities life holds for us in the Motown catalog, and Wanda weaves such a magical spell with it.